Alpha-hydroxy acid or another mild acid is used to penetrate only the outer layer of skin to gently exfoliate it. The treatment is used to improve the appearance of mild skin discoloration and rough skin as well as to refresh the face, neck, chest or hands. Glycolic or trichloroacetic acid is applied at skin care by Susan to penetrate the out and middle layers of skin to remove damaged skin cells. The treatment is used to improve age spots, fine lines and wrinkles, freckles and moderate skin discoloration. It also can be used to smooth rough skin and treat some precancerous skin growths, i.e. actinic keratosis. 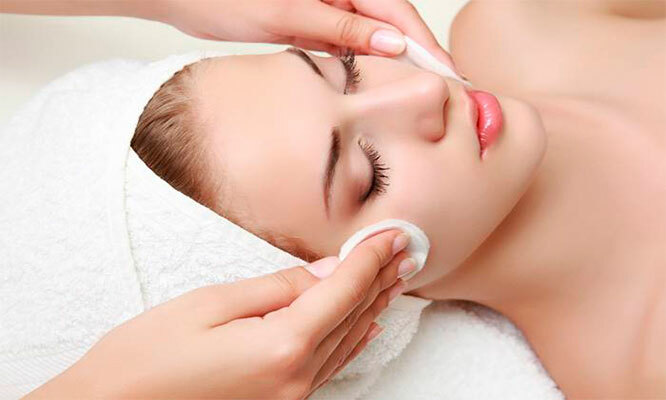 Tricholoracetic acid or phenol is applied to deeply penetrate the middle layer of skin to remove damaged skin cells. The treatment at skin care by Susan removes moderate lines, age spots, freckles and shallow scars. Patients will see a dramatic improvement in skin appearance. The procedure is used on the face and only can be performed once. A deep exfoliation that combines lactic acid, glycolic acid and Arginine®, to promote hydration of the skin while fighting the appearance of wrinkles, fine lines and congested skin. Peeling formulated to reduce the appearance of fine lines and wrinkles, photo-aging, dull skin and skin imperfections. Provides a deep exfoliation to even out the complexion and make skin radiant. An intense lactic peel that fights the appearance of fine lines and wrinkles, ideal for dry skin or skin showing first signs of aging. A peel formulated to promote a deep exfoliation. Evens out the tone of the upper layers of the skin. An ideal peeling for acne-prone skin and photo-aging. Formulated to exfoliate, provide deep cleansing of the pores and reduce visible blemishes on the skin, leaving it glowing and radiant. This modified version of the classic Jessner peel is the ideal treatment for pigmented, photo-damaged, blemished and mature skin. This peel helps control breakouts, comedones and milia, while improving the overall appearance of skin tone. A combination of lactic and salicylic acids with Resorcinol will leave the skin feeling impeccable. The ultimate choice for visible skin refinement. Who is not candidate for a chemical peel? Individual with infections, active skin disease, cut or broken skin,sunburns, herpes simplex Nursing or pregnant, have taken Accutane in last six months, psoriasis, eczema, dermatitis, rosacea,have used Retin-A,Renova, prescription skincare products,products that contain ascorbic acid,or skin lightening agents or other acid -based products in the 48hours. Free Parking Available on backside of store in 3th street.